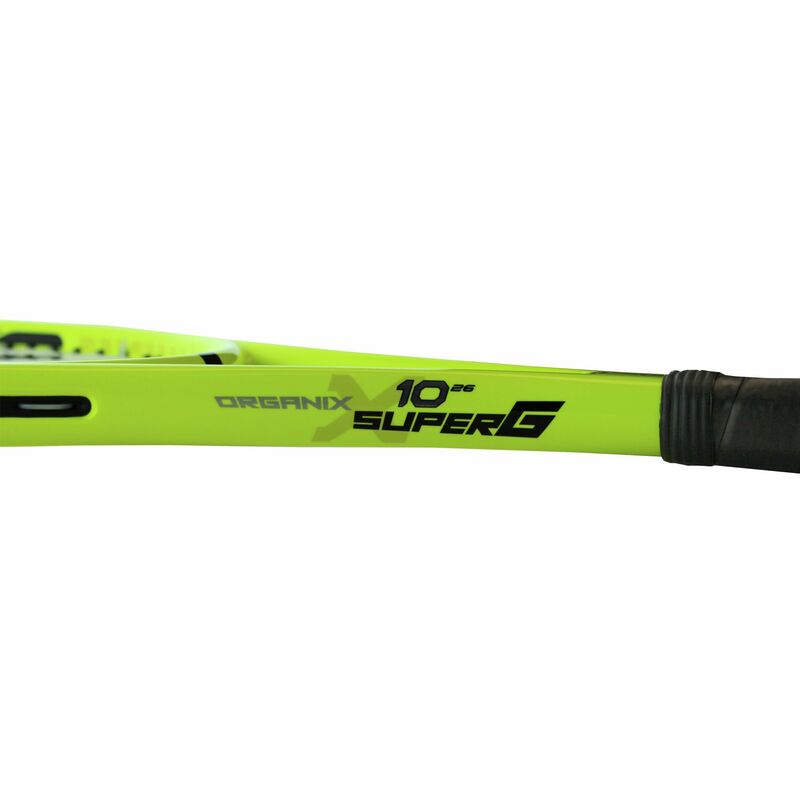 The Volkl Organix Super G 10 26 junior tennis racket has been specifically designed for junior players who want all the characteristics of an adult racket in a more manageable package. 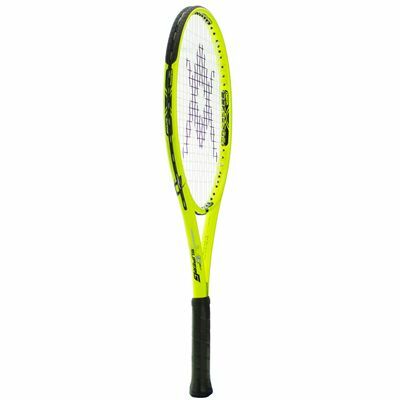 The 98in2 (630cm2) head has a large sweet spot which is powerful and forgiving, enhanced by the Organix technology that adds 30% more power through its springboard effect. 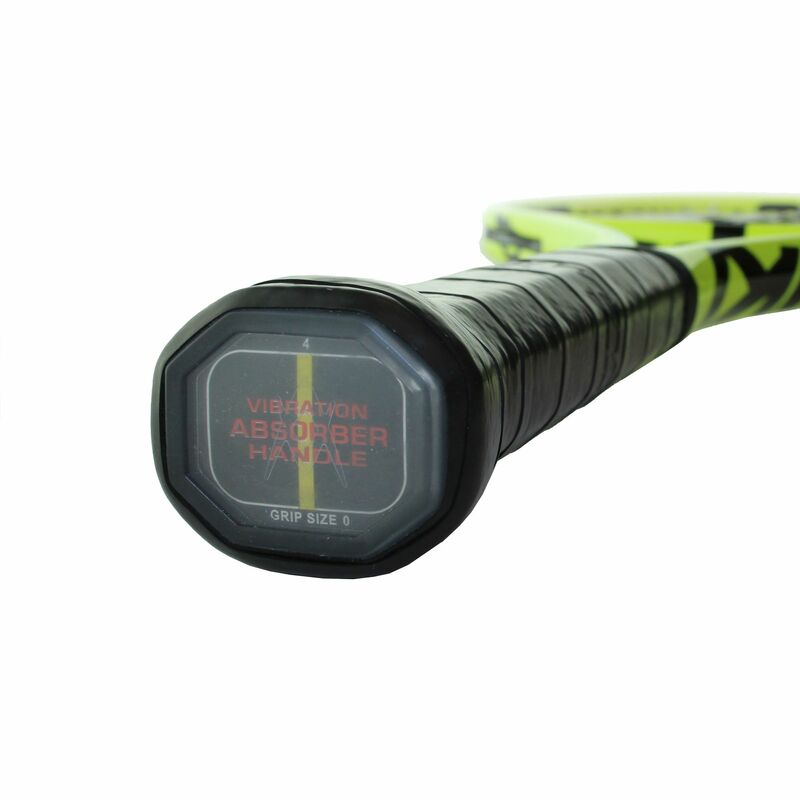 The Optispot helps young players find the middle of the sweet spot more consistently, so they can practise this and make clean hitting more natural as they develop their game. 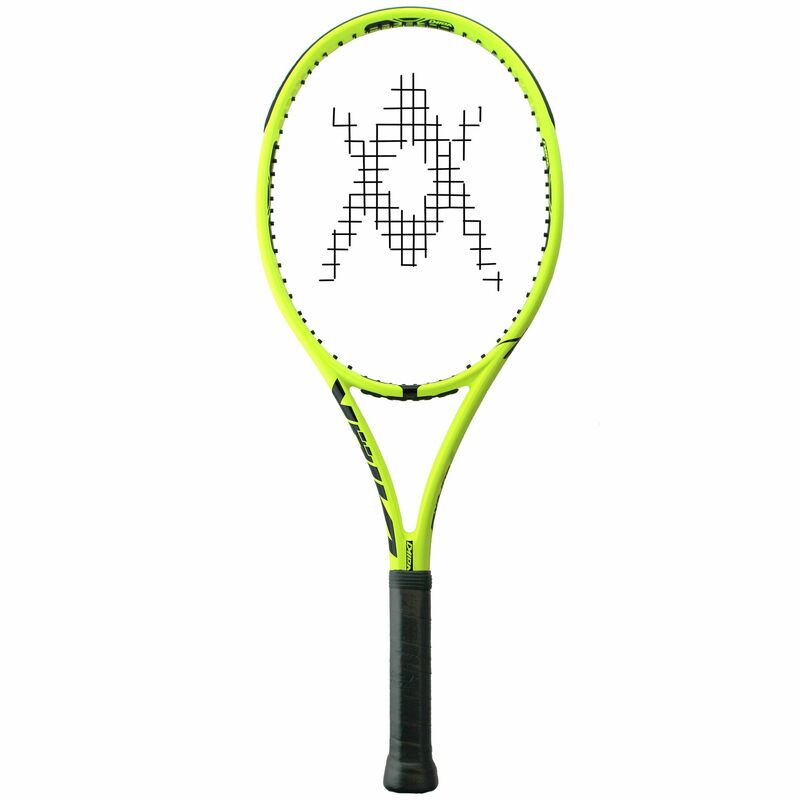 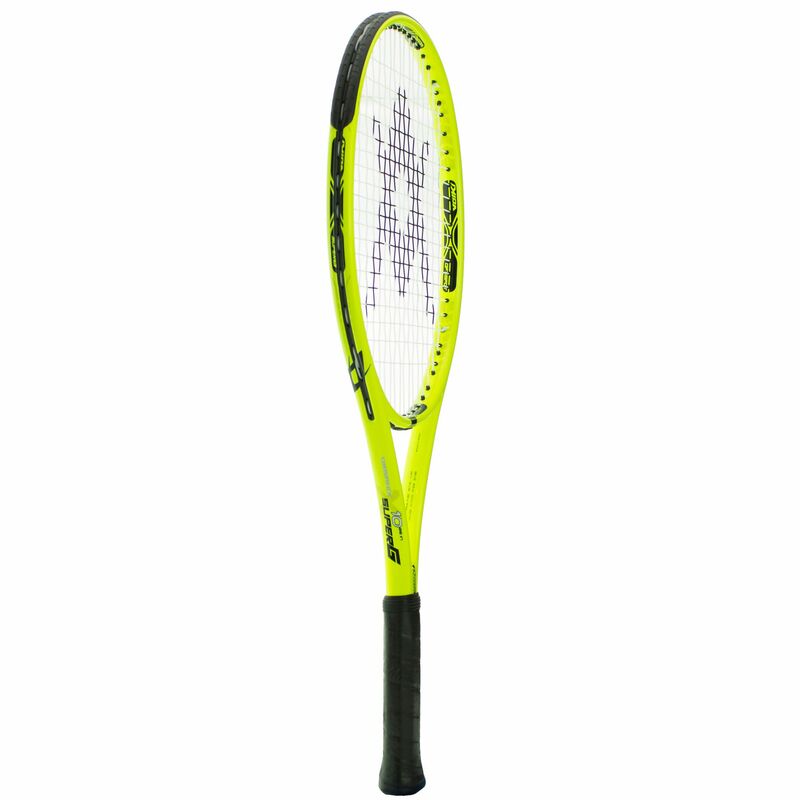 At 250g (8.8oz) the racket has a very controllable weight, and it has a head light balance for better manoeuvrability. The strong graphite racquet is supplied strung with a Syn Gut string strung in a 16x19 power control pattern, and a full cover is included as well. 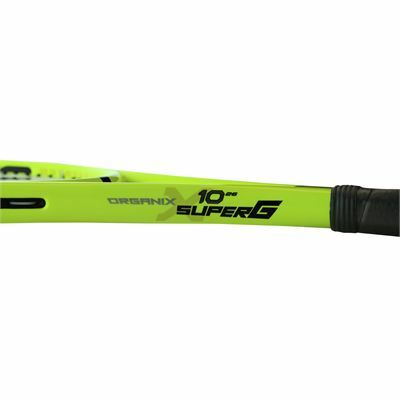 for submitting product review about Volkl Organix Super G 10 26 Junior Tennis Racket.